A quick view of the most influential metrics in Chapel Hill. 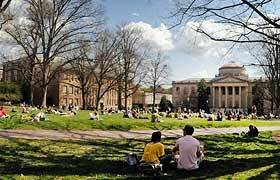 Chapel Hill is a consummate college town recently named the Most Livable City in the United States. With a population of just over 50,000, it manages to be relaxed and casual, while still hip and chic. The local economy is driven by the University of North Carolina, Chapel Hill and Research Triangle Park. Nearby Duke University and North Carolina State University provide other great employment opportunities. Shopping opportunities abound in Chapel Hill. You can pick up local produce at Whole Foods, Weaver Street Market, or get it direct-from-the-farm at the Carrboro Farmers’ Market. For national retailers, visit the Shops at Eastgate where you’ll find SteinMart, Chico’s, Talbots, and Ace Hardware. Or, for that special find, visit Downtown Chapel Hill and Franklin Street where you’ll discover terrific gift shops, galleries and boutiques. Although the mountains and the beach are nearby, there are plenty of recreational opportunities within Chapel Hill. 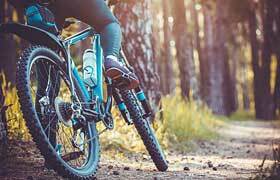 When it’s time to get outside and have fun, families and recreational enthusiasts know that Chapel Hill boasts plenty of playgrounds and in-town trails. Chapel Hill North, Bolin Forest, and Duke Forest are each great areas for walking, running and mountain biking. In fact, for both racing and recreational cyclists, Chapel Hill is a great place to call home, offering opportunities in town and inviting terrain in the surrounding area. At just over twenty square miles, the community of Chapel Hill, North Carolina has been nicknamed “The Southern Part of Heaven,” and it’s easy to see why. Situated in a picturesque area, and blessed with outstanding educational and cultural resources, there is a lot to see and do in Chapel Hill. And, when locals and visitors are on the move for work or play, they find that travel is easy to Durham, Raleigh, and Research Triangle Park, and it takes no longer than ten minutes to get from one part of Chapel Hill to another! Outside of town, head three hours one direction to the beach, and drive the same distance in the other direction to the mountains. 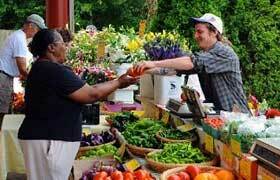 Or if you prefer a “stay-cation,” Chapel Hill won’t disappoint. The National Trust for Historic Preservation recently named Chapel Hill a 2011 Distinctive Destination. Chapel Hill also boasts an outstanding public library, along with four movie theaters offering major studio films in addition to independent and art films. As you would expect in a prominent university town, Chapel Hill is nationally recognized for educational excellence. The secondary schools in the district boast the highest average SAT scores in the state. Private school options include a Waldorf school, a Friends school, Montessori, and St. Thomas More Catholic school. Nearby health care facilities include the renowned UNC Memorial Hospital, Children’s Hospital, Neurosciences Hospital, Women’s Hospital and the Lineberger Comprehensive Cancer Center. Chapel Hill Transit provides bus transportation throughout Chapel Hill, Carrboro, and the University of North Carolina which has been operating free of charge to patrons since 2002! Nearby Raleigh-Durham International Airport is just fifteen miles away. View our selection of available properties in the Chapel Hill area. 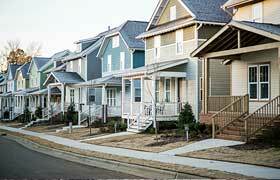 Check out the latest demographic information available for Chapel Hill. Learn more about schools near Chapel Hill complete with ratings and contact information. Browse through the top rated businesses in the most popular categories Chapel Hill has to offer.